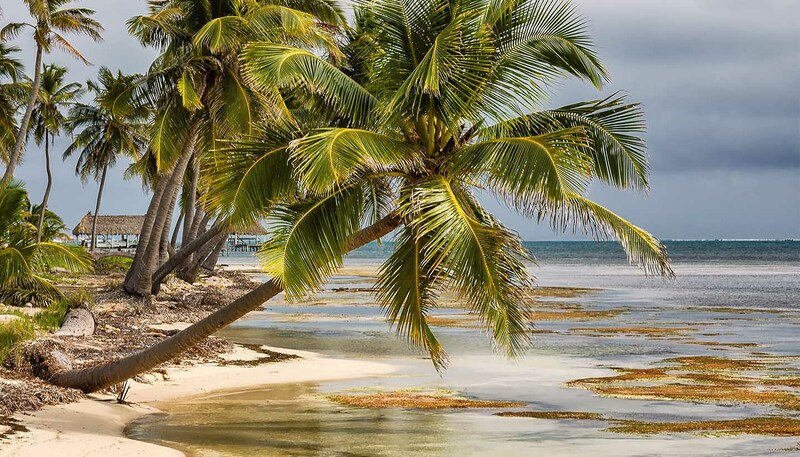 Belize’s climate is subtropical with a brisk prevailing wind from the Caribbean Sea. Annual temperatures and humidity are high. The temperature stays fairly constant year-round, varying by only about 4°C (7°F) from the hottest times to the coolest. Likewise the humidity remains throughout the year, though the higher you get into the Maya Mountains, the more comfortable the climate becomes. The dry season is from January to April and the rainy season is from mid-May until November. This results in overcast weather despite the heat, so it is not the best time to go for a beach holiday. The hurricane season is from June to the end of November – hurricanes have in the past devastated Belize. January is the coolest month and May is the hottest. Lightweight cottons and linens. A light shell jacket is recommended for the rainy season. Sandals or flip-flops will probably be your most useful footwear, but should you wish to do any hiking in the nature reserves you’ll need proper boots to protect your feet. Swimwear will also be necessary; if you plan to go snorkelling, having a top to wear in the water to protect your back from the sun is a good idea too. For generally being outdoors, a hat and sunglasses are required to prevent sunstroke. Long sleeved shirts and trousers are needed for protection against mosquitoes, which can be ferocious after dusk. Though higher-end places will provide one, it is recommended to take a mosquito net if you’re staying in budget accommodation. Although Belize is a tiny country, it has an astonishing range of geography. The Great Maya Barrier Reef runs alongside Belize's coast creating hundreds of small islands called cayes (keys) and offshore atolls, perfect for diving or snorkelling. From the centre of the country, stretching southwest into Guatemala and southeast to the coast are the Maya Mountains, a tropical broadleaf forest that is home to hundreds of different species. The two most northern districts are Corazol, which is flat terrain eventually turning into the forested hills and wild tropical jungle of Orange Walk. This sector is often referred to as the breadbasket of the country since it's primarily an agricultural area. The Belize district is home to the Northern Cayes. Ambergris Caye is the most developed and elegant resort area in the country while Caye Caulker has a more laid back atmosphere. Both are famous for their diving and snorkelling. Belize City has a mixed geography: to the north are the savannahs, to the west tropical jungle and to the south lagoons and mangroves. Western Cayo district is the largest county and is home to the Maya Mountains. Several rivers drop down from the mountain range, heading south, east and north making this a lush forested area filled with waterfalls, caves and Mayan ruins. The spectacular Hummingbird Highway traverses the northern edge of the mountains. Southern Belize has two distinct areas. Stann Creek rests on the eastern ridge on the Maya Mountain range where there are forested hills and pristine jungle ending at Dangriga on the coast, which gives way to the Central Cayes.